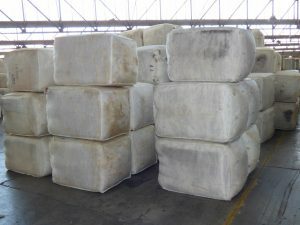 AUSTRALIA’S wool industry and overseas customers will get an earlier end-of-year forecast on current and future fibre production. The Australian Wool Production Forecasting Committee’s next forecast would normally have been done in mid-late December; however, Sheep Central has learned it will be brought forward about four weeks. Speculation is rife about current and future wool production levels, among wool growers, trying to estimate future wool levy income during the current WoolPoll debate, and within the processing trade, seeking better data on supply. However, although the next meeting of the national committee is now set for November 14, its next forecast will be too late to further inform wool growers voting in the WoolPoll 2018 ballot, set to conclude on November 2. Executive director of the Australian Council of Wool Exporters & Processors and of the Private Treaty Wool Merchants of Australia Peter Morgan said he supported an earlier end-of-year forecast. “It is only six weeks since the last forecast was made, but the general seasonal conditions have just deteriorated and that couldn’t be ignored. “The impact was really reflected I think in the September key test data from AWTA where volumes were 19.2 percent down for the month and 11.4pc progressive,” he said. “I’ve always thoughts that there are a number of reasons for having a production forecast, the most important is to provide credible information to our customers,” he said. “These people have got big investments, they deserve to have as good information as we can best provide and the current information is out of date,” Mr Morgan said. Mr Morgan said his other reason for an earlier forecast was the credibility of the industry and committee’s performance forecasting procedures. In late August this year, the Australian Wool Production Forecasting Committee’s forecasted wool production to fall by 5.7 percent in 2018/19 to 322 million kilograms greasy due to tough seasonal conditions. However, there is considerable industry speculation that 2018-19 wool production could fall below 300 million kilograms due to increased slaughter and anecdotal reports of low lamb marking percentages, especially in pastoral major Merino wool-growing areas. Committee chairman Russell Pattinson said members in August noted that the way the season progress over subsequent months would be important. “We’re just conscious that it remains pretty difficult in a lot of parts and we thought the market would benefit from having something a bit earlier than toward mid-December. Mr Pattinson said data from the latest Meat & Livestock Australia (MLA) and Australian Wool Innovation (AWI) wool and sheep meat survey will be used in the next wool production forecast, as well up-to-date slaughter, wool sale and AWTA data. He said the national committee will also have reports from state committees on available lamb marking results. Australian sheep producers are currently being invited to participate in the AWI-MLA survey, which is open until 31 October 2018. MLA and AWI said the more producers responding in the survey would provide the industry with more reliable data. Survey responses will be aggregated with the replies from other participants to create regional, state and national wool and sheep meat industry data. Individual responses remain strictly confidential. Survey responses received by 31 October will also be entered into a draw for the chance to win a Caltex StarCash card worth $1000. For further information or assistance to complete the survey, call MLA Market Information on 02 9463 9333 or toll free on 1800 023 100. If you would like to view the results from the previous survey, click here. Click here to review the August 2018 wool production forecast report.